In the 1960s, rock climbers on Ball’s Pyramid, a small, isolated volcanic stack located in the Tasman Sea, discovered a treasure that would mark the beginning of an incredible story of survival. The treasure was the freshly dead remains of what seemed to be Lord Howe Island stick insects—creatures thought to have gone extinct about three decades prior. They disappeared from their home on nearby Lord Howe Island after a shipwreck in 1918 introduced black rats into the island’s ecosystem. As the island had no native terrestrial mammals, the rats wiped out the stick insect population along with 5 bird species and 12 other insect species. Following the climbers’ discovery, a 2001 survey of Ball’s Pyramid revealed a few live individuals feeding on a single tea-tree atop a terrace 65 meters above sea level. One year later, another survey discovered a total of 24 insects, all living among a collection of tea-trees on the very same terrace as the year before. The survey expedition members then collected some of these individuals for further study and began a captive-breeding program at the Melbourne Zoo. 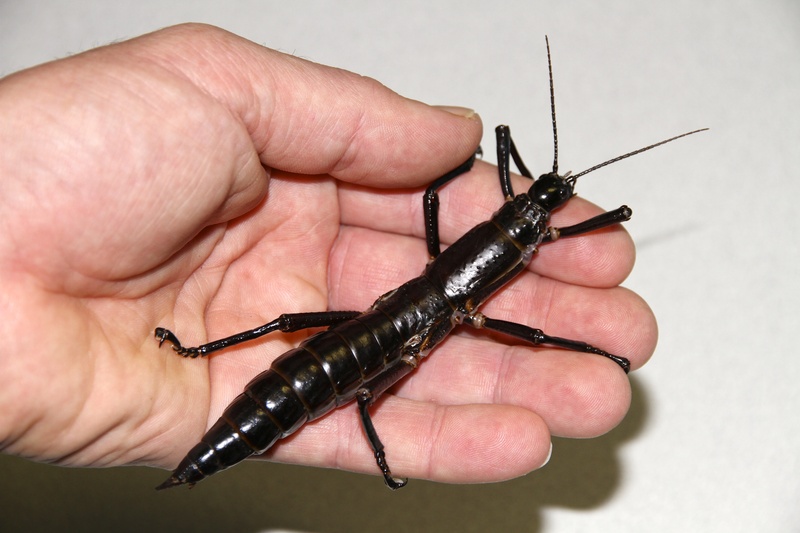 However, there remained some doubt over whether the Ball’s Pyramid stick insects were the same as the thought-to-be-extinct Lord Howe insects—for one, they looked somewhat different from the museum specimens collected from Lord Howe Island. Dispelling this doubt was important, because the answer could make or break an effort to reintroduce them back into their native home on Lord Howe Island. 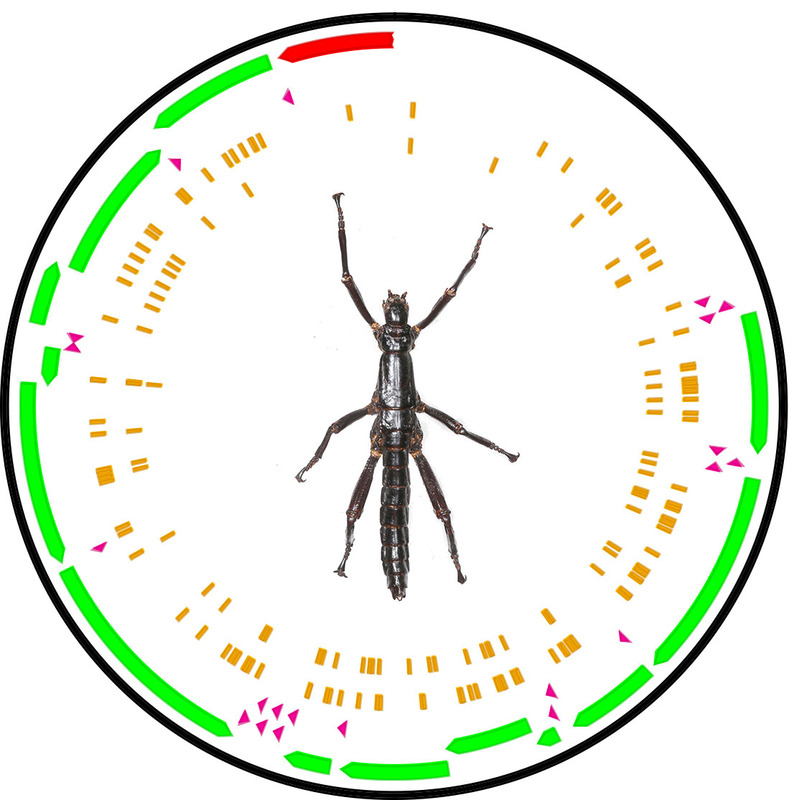 Now, researchers at the Okinawa Institute of Science and Technology Graduate University (OIST), in collaboration with Zoos Victoria and the Australian National Insect Collection (CSIRO), have used next generation sequencing to confirm that the Ball’s Pyramid insects are indeed the same species as Lord Howe Island’s. And thus, the long-lost stick insect has been officially resurrected, contributing to the conservation efforts that are underway. The paper is published in the journal Current Biology. 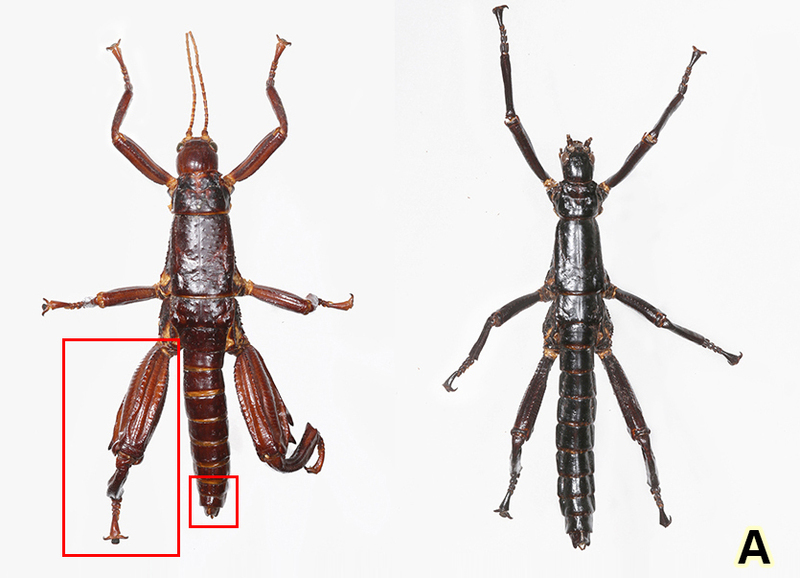 The two insects look different morphologically, which raised questions about whether they were the same species. 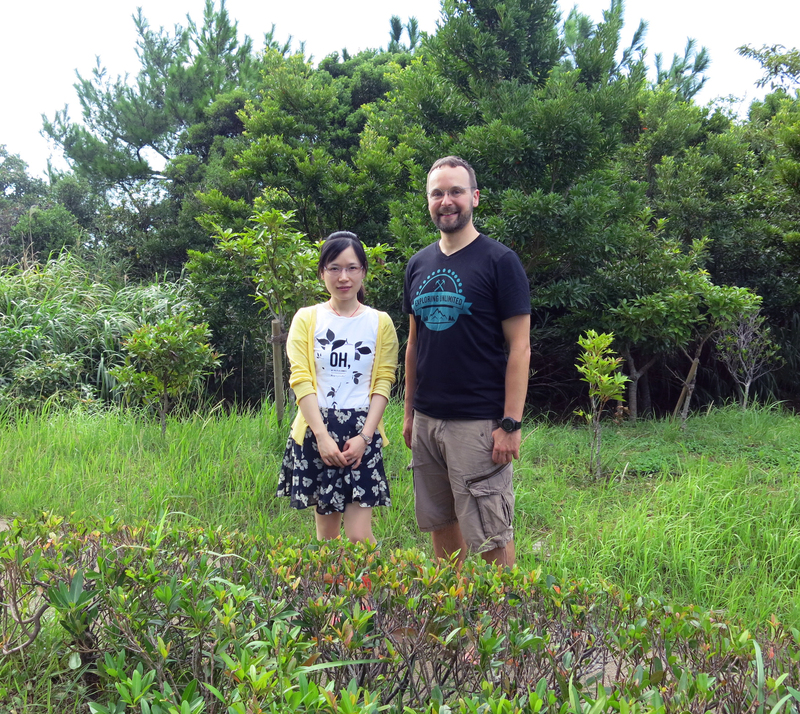 The OIST researchers confirmed with next generation sequencing that the insects’ DNA diverged by less than 1%. The green bars in the image represent different genes. The small orange lines show each site in which the Lord Howe Island museum specimens vary genetically from the Ball’s Pyramid captive-bred insects. Click here to see an award-winning animated film about the story of the Lord Howe Island stick insect.